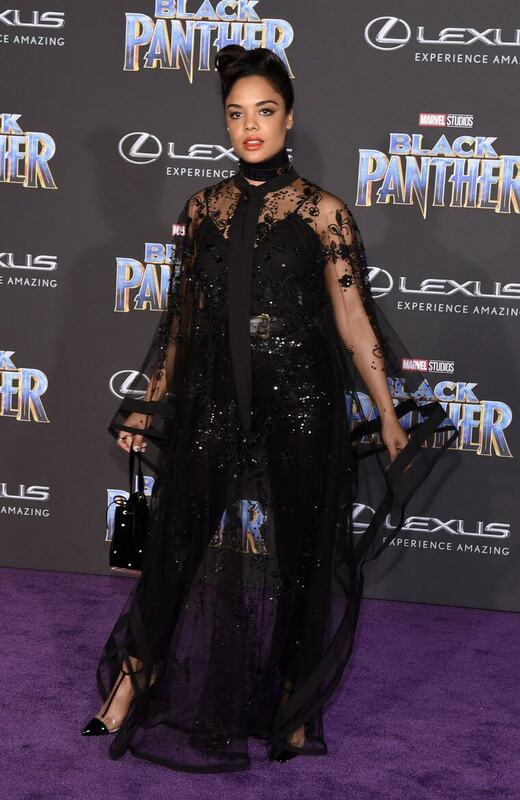 Okay lovely, I don’t usually cover movie premier red carpets because if I did, I wouldn’t get anything else done. 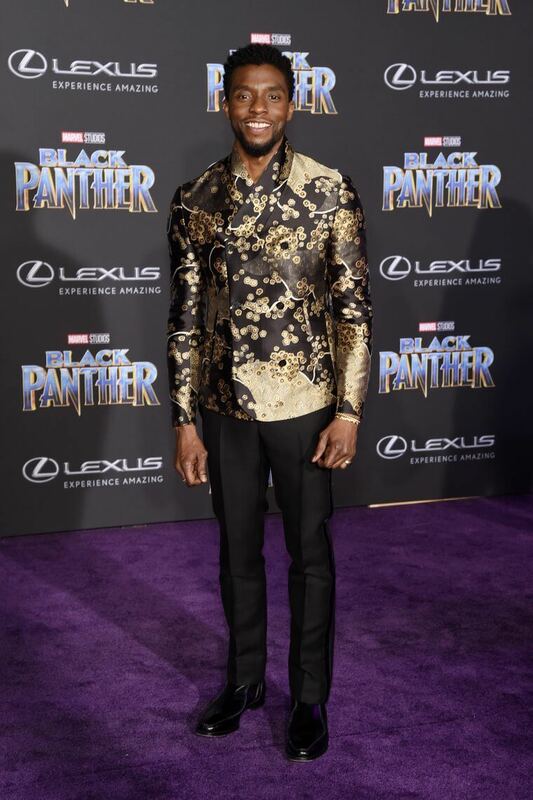 But the red carpet for the premier of Marvel’s Black Panther was EPIC. It’s a nod to some of what red carpets used to be before the fashion industry took over. 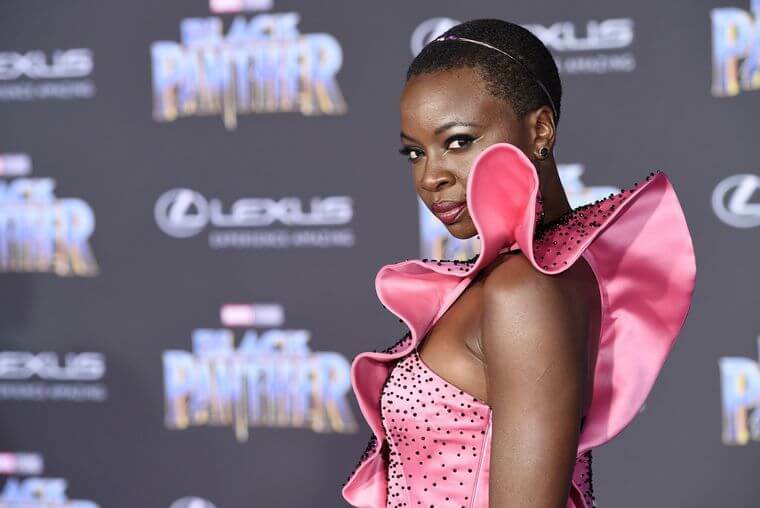 Actresses used to show up in outfits that were reflective of their personalities and sometimes in outright costume. 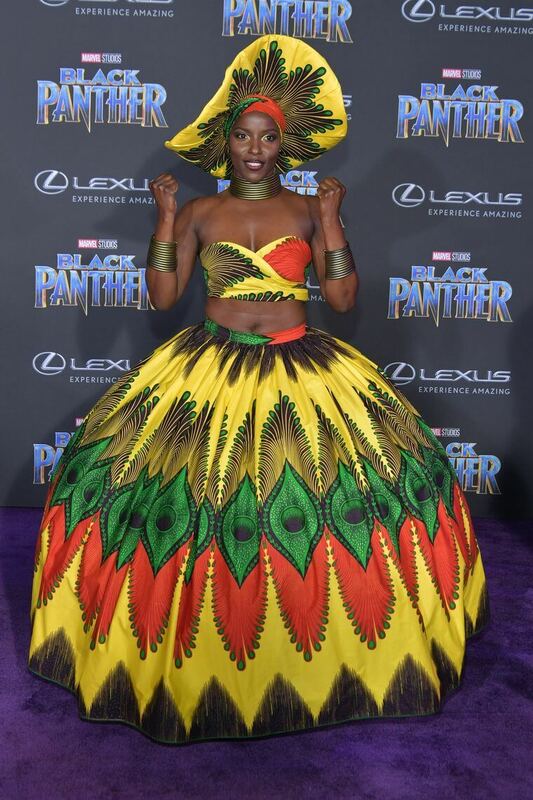 Well, costumes were aplenty on the Black Panther red carpet and I am here for it honey! 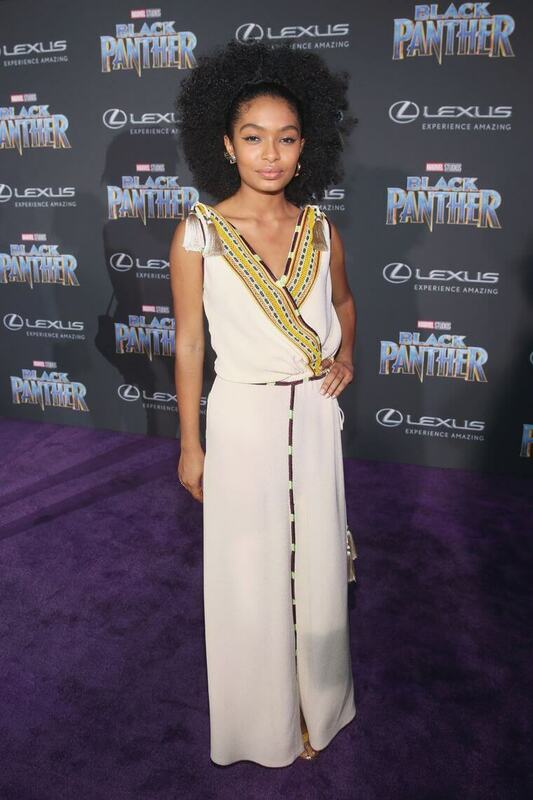 Marvel’s Black Panther is one of the most hotly anticipated movies in recent memory. Pre-sales for tickets have been record-setting. I remember when the film was first teased and we all thought February 2018 was an eternity away. 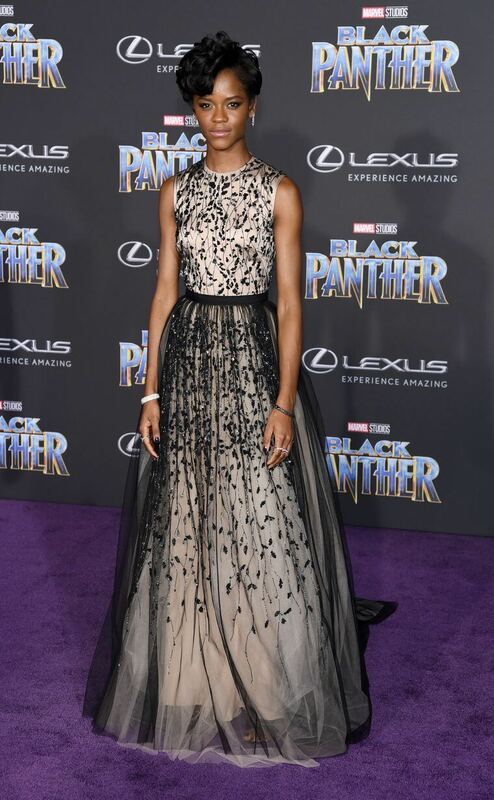 Well, it’s here now and nothing is a better primer than this red carpet! 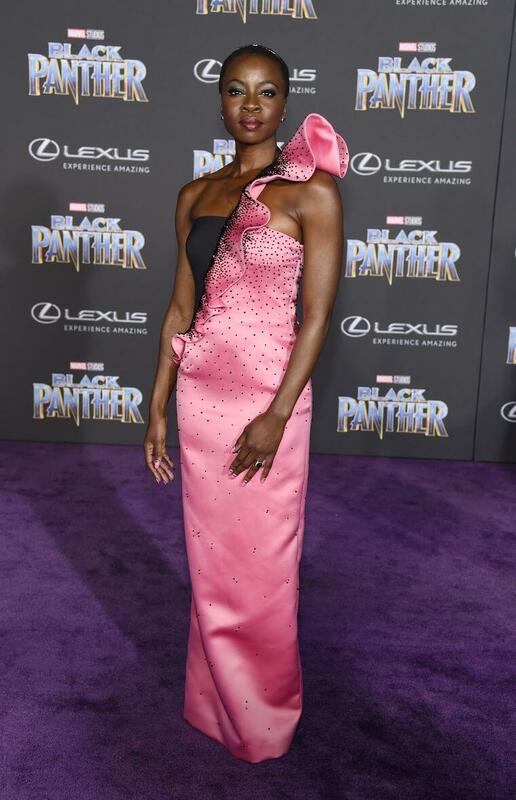 A job well done by one of the reigning queens of the red carpet, Ms. Lupita Nyong’o. 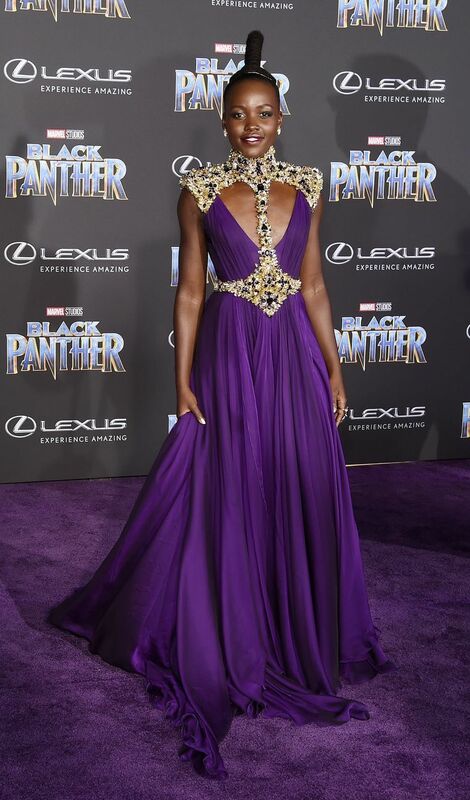 Lupita always gets it right and she was flawlessly regal in a flowing purple gown by Versace. 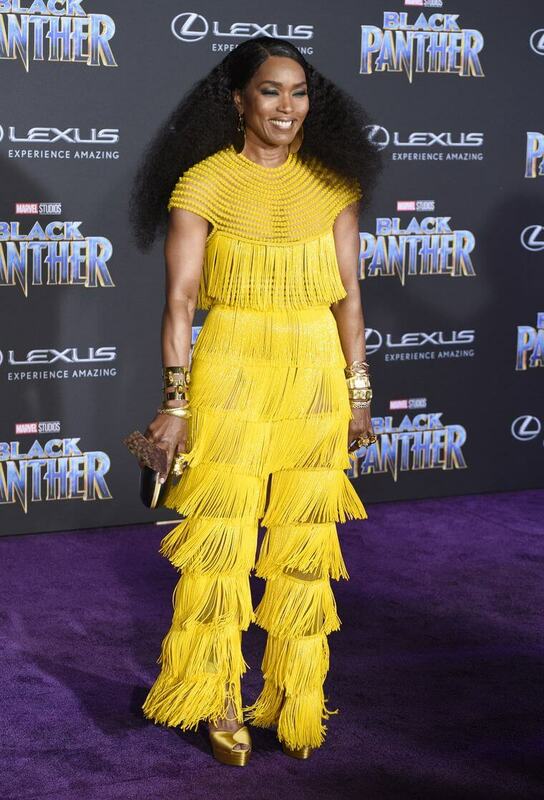 I’m also in love with Angela Bassett’s yellow fringe moment by Naeem Khan. 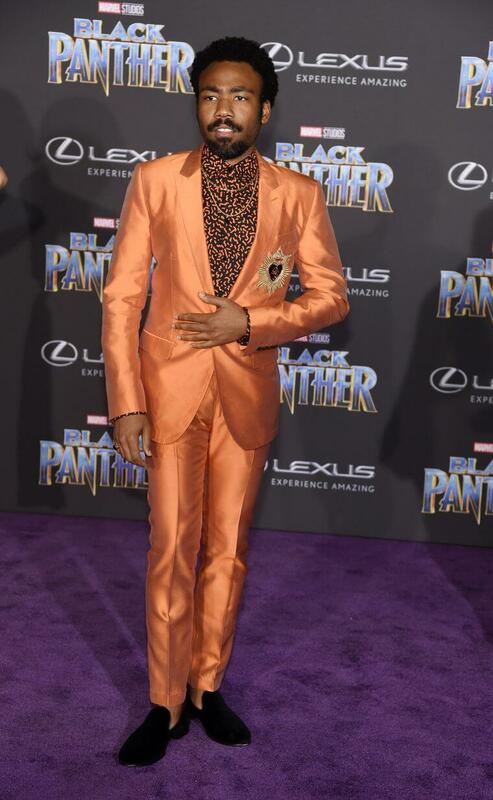 And Donald Glover managed to pull off a bright orange suit by Dolce & Gabbana. Orange?! Yes, orange. Come on! Swaggalicious! 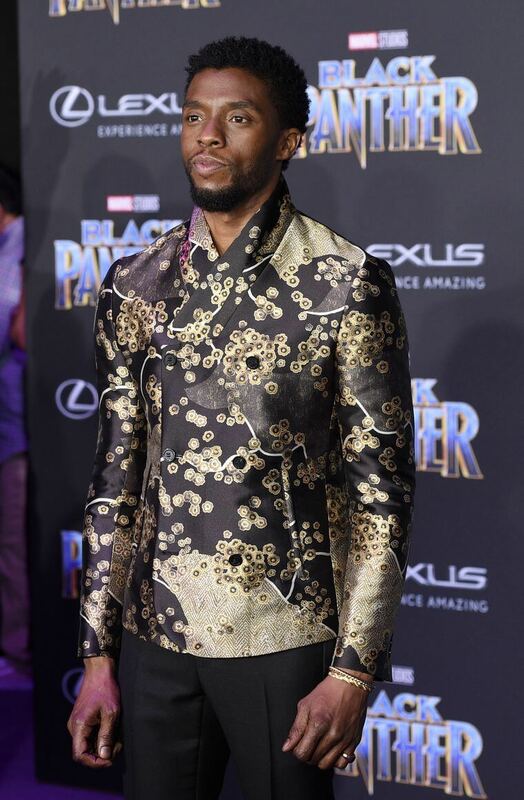 Not to be outdone by the sun, Chadwick Boseman came through sporting a gold print jacket by Giorgio Armani. Yeah, yeah, he did that. Love! Eye-popping yes? Yes! I love it! What do you think lovely? Too much or just right? Sound off in the comments as usual! LOVE LOVE LOVE this! It’s a nice change from the typical red carpets. I hope we see more of this. Exactly! This I could get excited about. oh this is so cool! love the creativity here! what a nice change from the typical red carpets! 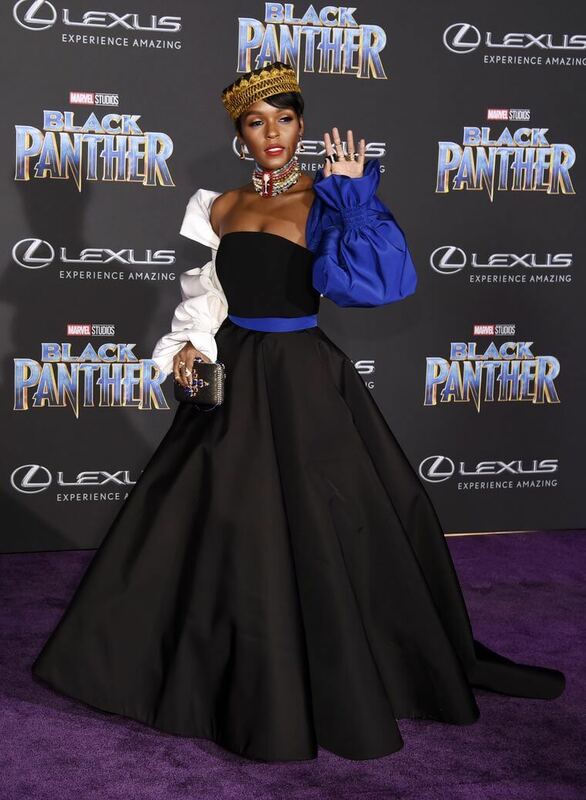 Wow all of these looks were out of this world! 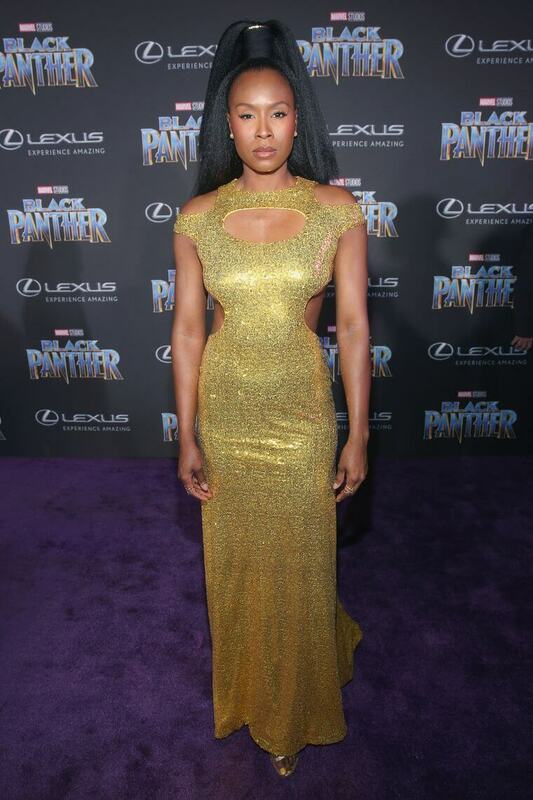 Lupita and Angela Basset are my favorite looks! 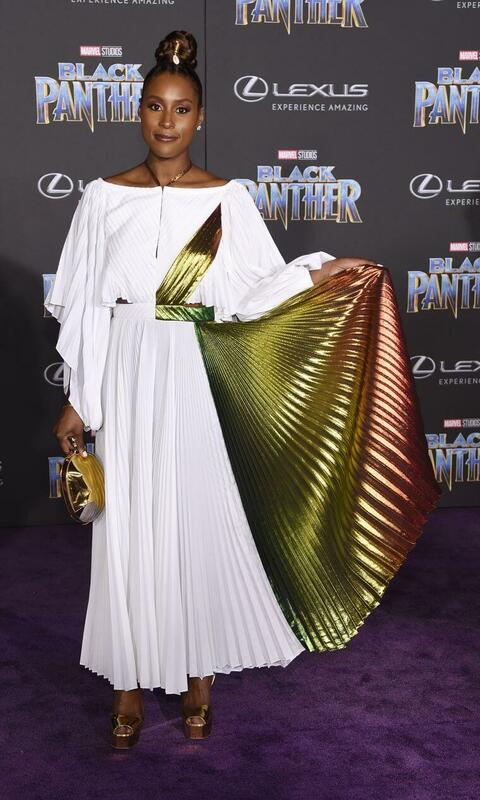 Lupita was totally my favorite! Wow love all of these unique outfits! I especially enjoyed the pink one with the ruffle sleeve- so cute!